What is charter pricing ? There is a wide disparity in charter pricing. When shopping for a charter flight, one can find several hundreds or even several thousands of dollars difference for the same type of aircraft operated between the same city pairs, but flown by different companies. Most of the time, if something costs more, you would expect better quality and service. This is not always the case with charters. Berware of the dumb answers. What's "ALL IN" Pricing ? When pricing charters, remember to get an “all in” price. Many operators will quote the customer a net aircraft price or estimated price. Upon the completion of the trip they will add in stand-by time, holding pattern or diversion times, parking and ramp charges, landing fees, fuel surcharges, segment fees and a 7.5 percent federal excise tax. Aspen Aviation always quotes "all in" prices. What is there to look for in a Price Quote ? There are two factors that determine how an aircraft is priced. 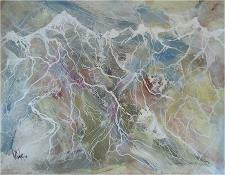 · First, there are the direct operating costs. This includes, fuel, maintenance and pilot costs. These costs are the same for each hour the aircraft is flown. · The second are the administrative costs. These include office and hangar space, utilities, computers and aircraft support equipment, staffing, insurance, and mortgage or lease payments. These costs are both fixed and variable and are added to the aircraft’s direct operating costs by prorating the hours an aircraft is flown each month. · Thus, if an aircraft is utilized more, the operator can charge less and still make the same profit. · And small versus large office facilities operating out of less expensive airports, etc. Always make sure you know what kind of aircraft you are chartering so there are no surprises. Aspen Aviation’s locating system interfaces with all of the various charter companies pricing structures. With this information, we can invariably find the best aircraft for the mission and at the lowest price. Many times we can bring an aircraft in from a smaller, less expensive airport and beat the pricing of operators that are located at the larger metropolitan airports. Pros/Cons of Jet vs. Prop ? 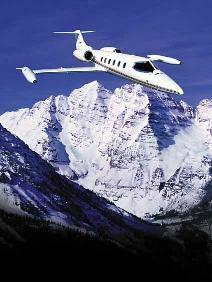 Another aspect which Aspen Aviation routinely reviews is whether a trip necessarily needs to be made by jet. In our data base, we have high speed turbo prop aircraft which can complete a trip in nearly the same time as a jet but at two thirds the cost. Aspen Aviation offers this choice to our customers in almost all instances. Which is less / hour ? A Turbo Prop or a Lear ? Some charter companies simply provide hourly costs of aircraft but these can be misleading. The speed which the aircraft flies can make a difference in total price. An example of this is comparing a Cessna Citation and a Lear Jet. The Citation will always have a much lower hourly cost, but if flies slower than the Lear. So, the Lear will almost always have a lower total cost for the trip. Aspen Aviation will provide the best choice for the trip. What about hourly minimums ? Many charter operators charge a two hour minimum for every flight, and for when the aircraft is not in use, such as when the airplane remains parked away from its base on multiple day trips. To reduce the cost of the charter for it’s customers, Aspen Aviation looks for operators that do not have this type of pricing structure, and then gives the savings back to the customer in the form of a lower overall price. What does Aspen Aviation earn ? Aspen Aviation charges the charter operators a ten percent referral fee for bringing new customers to the charter company. Since we are a referral service, you actually pay the charter company, not Aspen Aviation. There are no upfront costs, fees or memberships, and you pay after the flight is completed. If you decide not to use any of the aircraft options presented by Aspen Aviation, there is no cost. Moreover, because of our long standing relationships with many charter operators, our lower negotiated price for an aircraft usually offsets all or part of the referral fee the operator pays Aspen Aviation. So, you pay about the same or very slightly more for an aircraft as if you had gone directly to the operator. We would like to think the services provided to you are worth the fair pricing offered. By contrast, some charter brokers may add any amount to the actual cost of the aircraft and the customer pays the broker. Many times, we have seen brokers double the cost of an aircraft. This is especially true if the customer is new to charter or is not familiar with airplane types / options. The Department of Transportation has actually recognized the referal service business and the way we handle charters, and is now enacting new legislation similar to Aspen Aviation’s pricing policies which all brokers may have to follow in the future. Providing a fair and reasonable product always brings repeat customers and this is how Aspen Aviation’s network associates have prospered for more than 25 years. 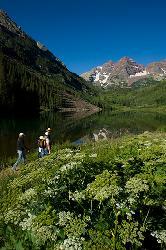 What is the cost for an Aspen Scenic Tour ? How far you would want to go. For Example: A short tour over the 4 ski areas & Red Mountain and not go more than 25 miles from the FBO that takes less time. If you want to go on a photography trip of the Continental Divide past Independence that takes more time. Aspen Aviation charges the charter operators / owner of the aircraft a ten percent referral fee for bringing new customers to the charter company. What about hidden or additional costs ? CATERING: Catering is available and in most instances at cost, however, many Fixed Based Operators, FBO’s, (this is where we park our aircraft at the airport) may add on a percentage to bring the food thru their facility. Things to remember about aircraft catering. Menu’s can be almost anything you desire from large airports. When smaller airports are used, catering selections may become limited. However, we will do everything within reason to accommodate your needs. Unless you are flying in a large jet such as a Gulfstream or Challenger, most aircraft do not have onboard ovens. 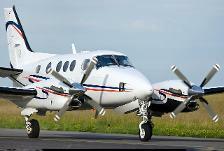 For last minute air charters, catering may not be available due to the time constraint. Catered food for aircraft is many times, more expensive than restaurant food. An example is a regular restaurant $10 sandwich, may cost $25 to $30. Ask about a menu from your favorite Aspen Menu or a recommended Catering company. DE-ICING: When icing conditions exist, the cost to de-ice the aircraft is additional. De-icing costs vary from aircraft to aircraft and on the amount of de-icing that is necessary. Costs can range from a few hundreds of dollars to over a thousand dollars per de-icing. Also, an air charter can have multiple de-ices on the same trip. If a ferry leg is involved to bring the aircraft to you, and if that departure needs a de-icing, it is a legitimate charge that will be additional to the cost of your air charter. DEVIATIONS: Deviations are weather or traffic related, and add to the amount of air time you are using on your air charter. These delays such as holding, this is where an aircraft flies in circles to facilitate traffic, or when your destination is changed due to weather at your destination airport increase the amount of time you utilized the charter aircraft and will result higher cost for your air charter. STAND-BY TIME: Normally your quote will include all the necessary standby time to accommodate your return air charter. If you go beyond your requested departure time, you may be responsible for the additional time. Standby time can range from $35 to over $100 per hour per pilot and in some cases, air charter operators charge airplane time versus pilot time. For air charters that have open returns, we will normally give you a set price for a certain time, and then add the appropriate charges to your final bill. RON or OVER NIGHT CHARGES: These charges are normally included in your quote, however, if additional over nights are required, they will be additional. Ask How Much is this going to cost me ?